NASA's Spitzer Space Telescope has made the first measurements of the day and night temperatures of a planet outside our solar system. The infrared observatory revealed that the Jupiter-like gas giant planet circling very close to its sun is always as hot as fire on one side, and potentially as cold as ice on the other. 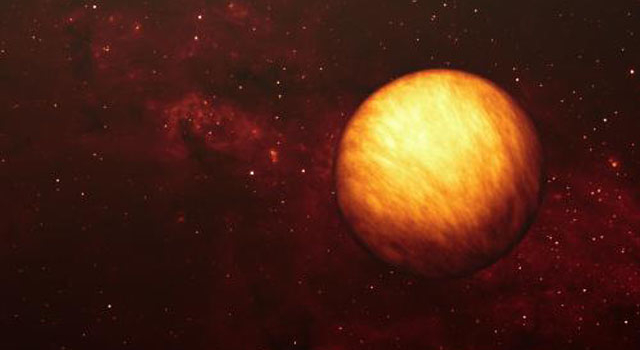 "This planet has a giant hot spot in the hemisphere that faces the star," said Dr. Joe Harrington of the University of Central Florida, Orlando, lead author of a paper appearing online today in Science. "The temperature difference between the day and night sides tells about how energy flows in the planet's atmosphere. Essentially, we're studying weather on an exotic planet." The finding represents the first time any kind of variation has been seen across the surface of an extrasolar planet, a planet beyond our solar system. Previous measurements of extrasolar planets described only global traits like size and mass. 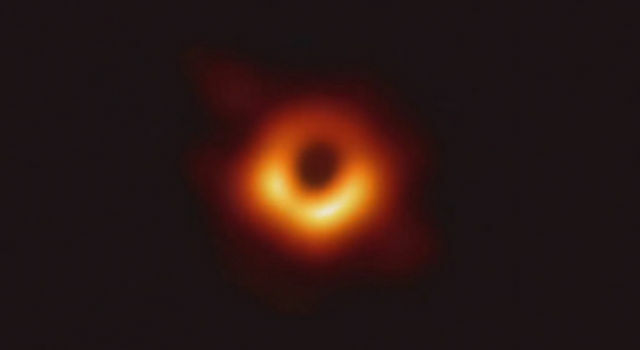 "This is a spectacular result," said Dr. Michael Werner, project scientist for Spitzer at NASA's Jet Propulsion Laboratory, Pasadena, Calif. "When we designed Spitzer years ago, we did not anticipate that it would be revolutionizing extrasolar-planet science." The researchers used Spitzer to determine the temperature variation in the atmosphere of a nearby planet called Upsilon Andromedae b. This "hot-Jupiter" planet is a gas giant similar to Jupiter, but it orbits very close to its scorching star, circling the star once every 4.6 days. 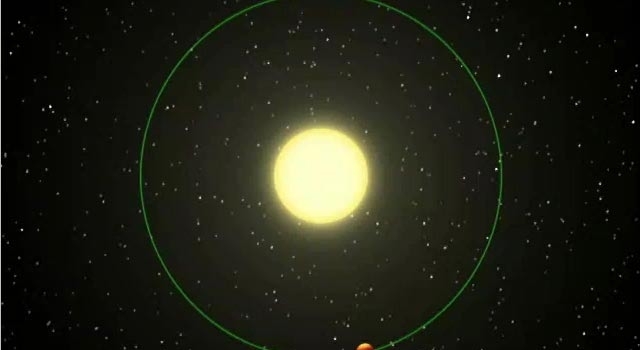 Scientists believe the planet is tidally locked to its star. This means it is rotating slowly enough that the same side always faces the star, just as the same side of Earth's tidally locked moon always faces toward us, hiding its "dark side." However, since this planet is made of gas, its outer atmosphere could be circulating much faster than its interior. 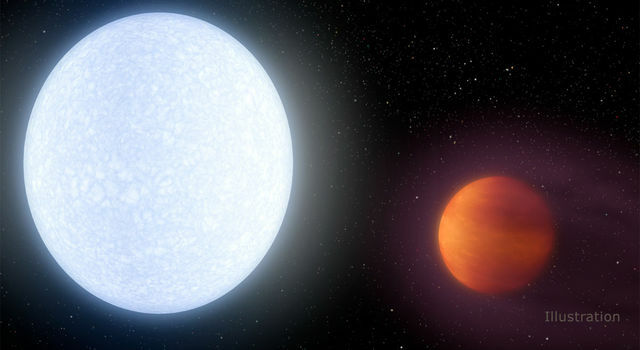 According to the astronomers, the observed temperature difference between the two sides of Upsilon Andromedae b is extreme -- about 1,400 degrees Celsius (2,550 degrees Fahrenheit). Such a large temperature difference indicates the planet's atmosphere absorbs and reradiates sunlight so fast that gas circling around it cools off quickly. This is unlike Jupiter, which is even-temperatured all the way around. "If you were moving across the planet from the night side to day side, the temperature jump would be equivalent to leaping into a volcano," said the project's principal investigator, Dr. Brad Hansen of the University of California, Los Angeles. Spitzer used its heat-seeking infrared eyes to periodically stare at the Upsilon Andromedae planetary system over approximately five days. It found the system's infrared light, or heat, dimmed and brightened in time with Upsilon Andromedae b's orbit. This change in heat is the result of the planet showing its different faces to Spitzer as it traveled around the star. 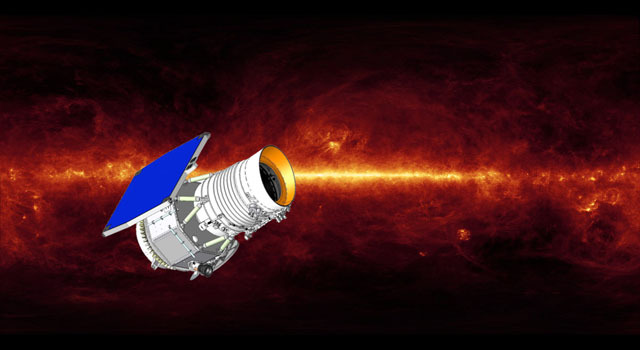 When the planet's sunlit side was in Earth's view, Spitzer detected more heat from the system; when its dark side was facing us, it picked up less heat. 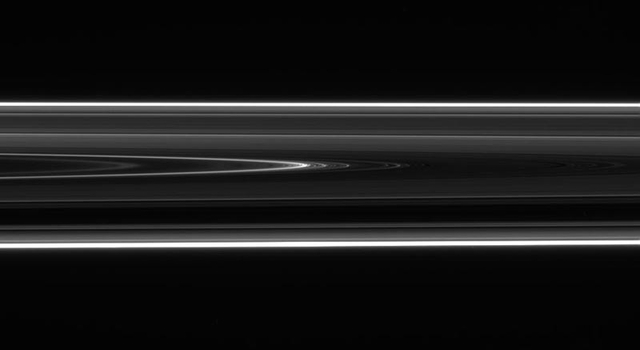 The planet does not cross behind or in front of its star, but is always in Earth's line of sight. Upsilon Andromedae b was discovered in 1996 around the star Upsilon Andromedae, which is 40 light-years away and visible to the naked eye at night in the constellation Andromeda. Upsilon Andromedae is circled by two other known planets located farther out than Upsilon Andromedae b.
Harrington and Hansen are presenting their results today at the 38th meeting of the Division for Planetary Sciences of the American Astronomical Society in Pasadena, Calif.
Harrington and three co-authors on this Science paper used Spitzer last year to directly detect light from an extrasolar gas-giant planet as it ducked behind its star and reappeared. (http://www.spitzer.caltech.edu/Media/releases/ssc2005-09/index.shtml). 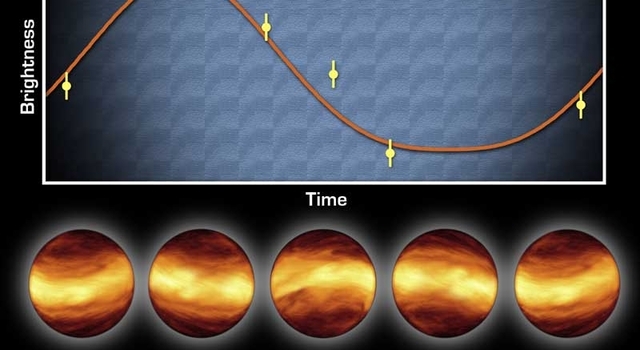 That technique and the current method described above take advantage of the fact that planets stand out better relative to their stars when viewed in infrared light. Other authors of this work include: Statia H. Luszcz of Cornell University, Ithaca, N.Y., and University of California, Berkeley; Dr. Sara Seager of the Carnegie Institution of Washington, D.C.; Drs. Drake Deming and Jeremy Richardson of NASA’s Goddard Space Flight Center, Greenbelt, Md. ; Dr. Kristen Menou of Columbia University, New York, N.Y.; and Dr. James Y-K Cho of University of London, U.K.
JPL manages the Spitzer Space Telescope mission for NASA's Science Mission Directorate, Washington. Science operations are conducted at the Spitzer Science Center at the California Institute of Technology, Pasadena. 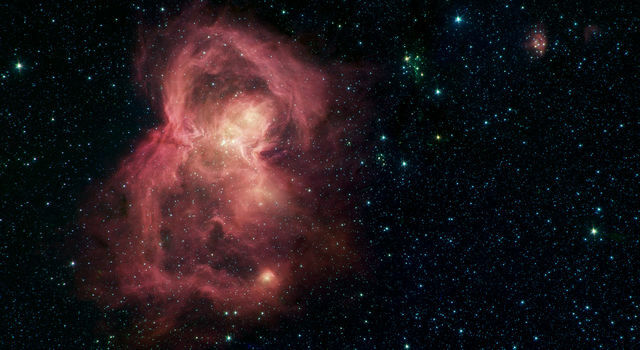 For graphics about this research and more information about Spitzer, visit www.nasa.gov/home.